Guest House "Rodopa" opened its doors again! On 05.08.2017, after 4 months of intensive repairs and reconstructions, our guest house has become a modern base with a completely renovated water and electricity system. Completely renovated and upgraded with 1 floor, it now offers to our guests 9 cozy rooms: 3 suites, 3 studios and 3 double rooms. A new indoor connection to the Rehabilitation Center was built, where our guests can benefit from the indoor mineral pool as well as from the spa and physiotherapy base. 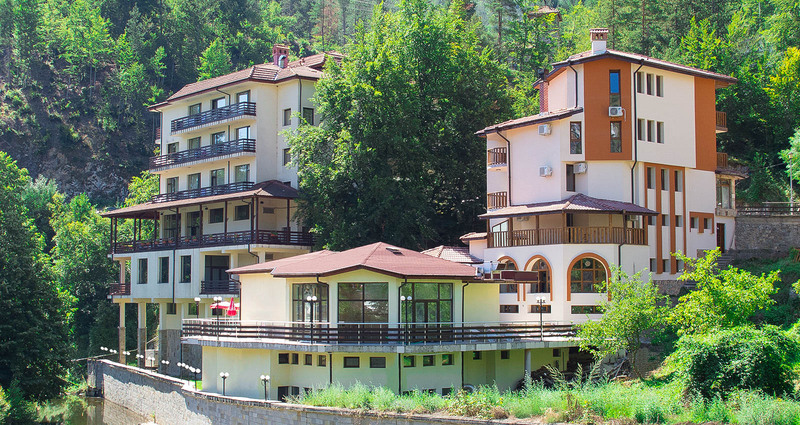 The beautiful Smolyan village Banite is located deep into the bosom of the majestic Rhodopes mountain along the Malka Arda river at 750m altitude. Village of Banite is known for its mineral water, which temperature at spring is 43° С and its the only one in Bulgaria. According to the legends the hot thermal spring dates back to Roman Times. The discovered ancient remains of a bath show that hundreds of years ago the water had been used for treatment. 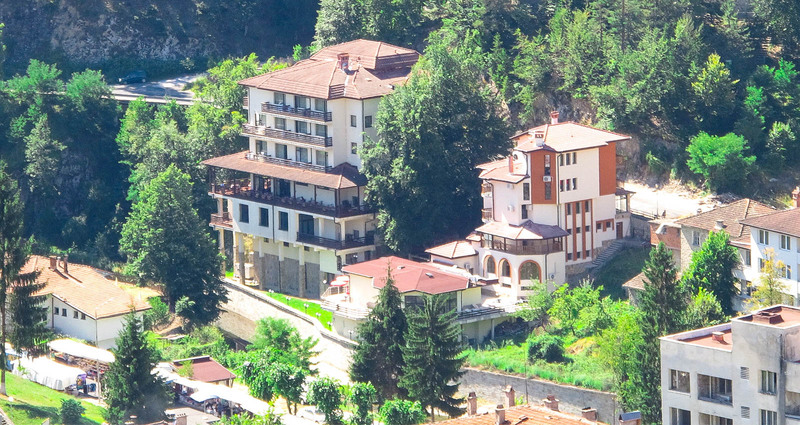 The picturesque mountain scenery, the thermal mineral spring and the clean and fresh air create an unique atmosphere in this mountain village. In the last few years it has become an attractive place for tourists in terms of balneology. You can make use of the miraculous healing properties of the mineral water in the hotel. Taking a bath will remove your fatigue and you will feel relaxed. Water’s areas of action is most often associated with diseases of the locomotory system – all kinds of arthritis, diseases such as disc hernia, discopathy, neuritis, neuralgia, osteoporosis, and gastritis, ulcera, colitis, stones in biliary tract and kidneys. Balneology and physiotherapy are also performed at the hotel. 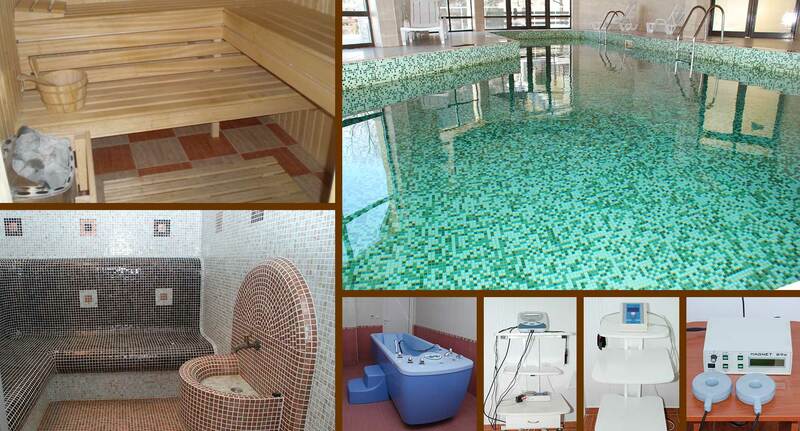 The hotel complex offers modern equipment, qualified medical staff and thermal mineral water. The Rehabilitation center includes four cabins for physiotherapy, a salon for group Remedial Gymnastics, two cabins for massage and a sector for paraffin treatment. For the convenience of guests the hotel offers an elevator.